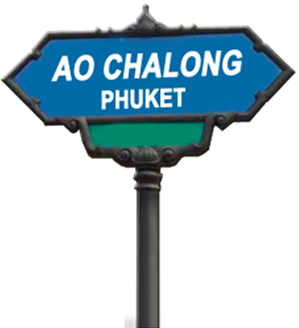 A few pointers on enjoying your stay in Phuket. Remember if you have any questions, about anything at all, just ask us: via email or in person at the Pier 42 front desk. The azure Andaman sea, stunning sunsets, and easy accessibility from all over the world has meant style keeps coming to Phuket, with cool places to visit, restaurants, shopping and leisure pleasures all over the island, which luckily enough is large enough to offer innumerable hideaway beaches to top up that tan. Weather is predictable, the selection of foods is exhaustive, shopping to suit all budgets, and hundreds of activities from extreme to completely relaxed…what more do you need from a vacation? Airport to Chalong (Pier 42 location): 45 mins / 600 baht by cab directly from the airport. On a bike wear your helmet, just because you are on vacation doesn’t mean you are bullet proof! Thai law requires you to carry your passport at all times, although hardly anyone does. Don’t touch monks, point with your feet or make any comments about the revered Royal Family. Carry some cash as credit cards are generally only taken by larger establishments. Larger clubs and bars in Patong close by 2am. The country code is +66 and then 76 for Phuket. Police 191, fire 199, tourist police 1155, marine police 076 215 438. Phuket has the laid back, chilled beach vibe down – the guest at the bar next to you in the cut offs is a likely to be a billionaire prince as a pauper, and all locations will be within most budgets. Whilst the Michelin boys haven’t got here yet, Floyd is, and Ramsey visits. There is everything from trad. Thai to funky med, served by the roadside, by the beach or on sunset decks with silver service. For local recommendations, as always, chat to the front desk @ Pier 42 but start with a cocktail & snack at our own Pier 42 Cafe out front of Pier 42 before heading out on a culinary journey. For hip and funky Thai, head to LIMS, a shiny, concrete box of modern art with a great little garden and terrace, this family run location is always friendly and has welcomed the rich and famous. There’s a 1000 and 1 Italians who have made Phuket their home, but Da Maurizio has a fantastic sunset location and table treats. And you’ve really not done debauched Phuket without a night out in Patong, take in the party streets and questionable bars before ending up at Ka Jok See and the party scene with late-night dancing boys who would be girls ! Come back home to Pier 42 and spend the next day chilling by the pool and let the ladies at Siam Organic Spa massage away those late night dancing injuries. There's fabulous ceramic and terracotta pots for your terrace at home, hand-beaten natty polished stainless steel contemporary cutlery, bowls and trenchers at The Handmade, and they will even make custom pieces, so that hand beaten nickel bath for your Hong Kong terrace can be yours . Surin Plaza is the Hi-So mini-mall on the island where you’ll find the joys of Galleria Aleenta for an eclectic mixed bag of stuff and other retail bargains. 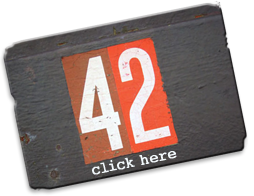 If your purchase will not fit into the hold for the flight home then most places can arrange shipping, or bring the details back to Pier 42 and we are happy to help. We say it never hurts to ask, we always do. so it’s always worth a little bargaining when it comes to retail purchases, although obviously it depends on where you are buying from. …Miles of deserted sandy beaches for picnicking, yachts and speedboats for hire, sea canoeing, deep sea fishing, snorkelling trips, white-water rafting, mountain biking, riding, tennis, Thai cooking or take to the skies in a private helicopter. Email us for options or chat to the front desk when you are here. Of course not to forget our specialty: scuba diving, either with a private dive concierge on the Pier 42 speedboat “naughty girl” or with one of the many great operators for a day trip or live aboard adventure. Drop into the Ocean Store and get the lowdown on the conditions and the current dive hot spots. La car, tao rai ? (krap) (male) / (kaa) (female): What is the price ? Just south from Chalong Bay is Rawai Beach. It was originally discovered by King Rama VII in the 1920’s and has become favourite spot for locals to have picnics. The restaurants that line the beach are a perfect for finding the fresh catch of the day. For those looking to hire a traditional long tail boat to the local island Rawai beach is a good place to start. Karon beach on the West of Phuket Island and is the second largest beach. The white sands stretch for 3 miles so there’s always plenty of space for your towel. At the southern end of the beach the coral life is exceptional and ideal for snorkelling. The area is also much loved for its shopping bazaars and relaxed night scene. Turtles are also known to make this beach a nesting ground. Is a secluded, quiet and tranquil beach close to Rawai Beach on the southernmost tip of the island. The beach is popular with the ‘in the know’ local population and is less visited by tourists. The waters are ideal for swimming and you can even discover local hidden treasures such as Nui and Ya Nui beaches. Is a well known beach on the South Western side of Phuket. The crisp white sands and azure blue waters attract sun lovers from all over the world, but is still quieter than Patong and Karon beaches. When the wet season begins the sun worshippers are replaced by surfers and water sport enthusiasts. Thao Thep Krasattri and Thao Si Sunthon Fair is held on March 13 every year to commemorate the two great heroines who rallied the Thalang (Phuket) people to repel Burmese invaders in 1785. Vegetarian Festival is held on the first day of the 9th lunar month (end Sept or early October). Phuket islanders of Chinese ancestry commit themselves to a 9-day vegetarian diet, a form of purification believed to help make the forthcoming year “trouble-free”. The festival is marked by several ascetic displays, including fire-walking and ascending sharp-bladed ladders. Phuket King’s Cup Regatta is held in December. The Kata Beach Resort hosts international yachtsmen, largely from neighbouring countries who compete in the Kata Beach area for royal trophies. Laguna Phuket Triathlon is held in each December. The triathlon (a 1,800 metres (5,900 ft) swim, a 55 kilometres (34 mi) bike race and a 12 kilometres (7.5 mi) run and a 6 kilometres (3.7 mi) fun run) attracts many athletes from all over the world. Phuket Travel Fair starting from November 1st is usually called the Patong Carnival, from the place where celebrations occur. Colourful parades, sports events, and a beauty competition for foreign tourists are major activities. Chao Le (Sea Gypsy) Boat Floating Festival falls during the middle of the sixth and eleventh lunar months yearly. The sea gypsy villages at Rawai and Sapam hold their ceremonies on the 13th; Ko Si-re celebrates on the 14th; and Laem La (east of the bridge on Phuket’s northern tip) on the 15th. Ceremonies, which centre around the setting adrift of small boats similar to the Thai festival of Loi Krathong, are held at night and their purpose is to drive away evil and bring good luck. Phang Nga Bay – This breath taking bay is home to stunning limestone islands with sheer vertical cliffs protruding from emerald green waters. The scenery is simply spectacular. Old Phuket Town – Has a rich tapestry of cultures stemming from the trading days of old. A blend of Colonial and Chinese architecture makes this part of Phuket Town a must for culture seekers. Wat Chalong – Is seen as Phuket Islands spiritual centre. Thousands of visitors come each year to admire the temples beautiful decoration. Watch out for Buddhist holidays as Wat Chalong hosts traditional fairs which are welcoming to all. The Big Buddha – One of the must see viewpoints which overlooks Chalong, Rawai and Kata is home to Phukets Big Buddha. The 45m Buddha statue is located on the Nakkerd Hills and is a fairly recent addition to the island. The scenery along the route to the summit is almost as beautiful as the view itself.